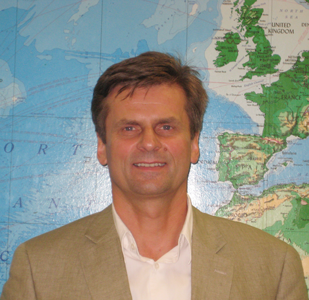 HORNERXPRESS WORLDWIDE WELCOMES NEW SALES REPRESENTATIVE IN EUROPE! Fort Lauderdale, FL  HornerXpress Worldwide is proud to announce and welcome Jaro Podkovcik as the company’s new Sales Representative for Europe. Jaro has twenty years of experience in the European and North American spa industry and is based in Bratislava, Slovakia. Being multi-lingual, Jaro speaks English, German, French, Russian, Czech and Slovak. Jaro quoted "My experience and existing relationships in Europe have opened up an exciting new opportunity to branch into the swimming pool industry. I'm looking forward to helping Team Horner expand their European operations with AquaCal, AutoPilot and many other quality brands." Linda Carroll, Vice President of HXW added "Jaro is perfectly located to easily reach all of Europe. Being in the same time zone will help us more quickly facilitate sales, and technical assistance via phone and e-mail. All order processing and fulfillment will still be managed by our Ft Lauderdale headquarters, ensuring Jaro can focus on proactively helping our customers build their profitability. We are very pleased to have Jaro on our Team."